Our Direct Secure Messaging is MU3 certified by the Dept. 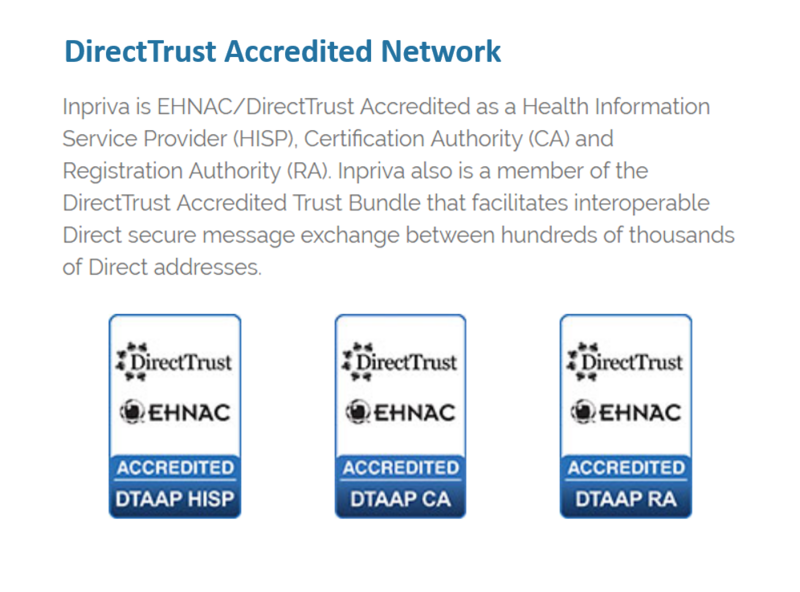 of Health and Human Services and accredited by EHNAC /DirectTrust. 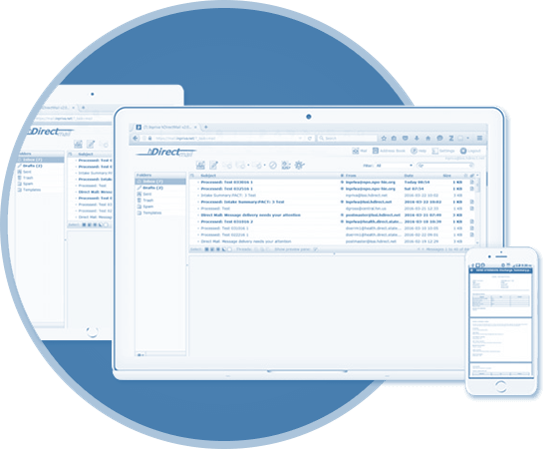 Our web-based portal provides flexible folder access, a built-in CCDA/XDM viewer, any attachment file type and syncs to other devices (e.g. Outlook, Smartphone, iPad, etc.). For EHR systems, HIEs or other systems requiring XDR or alternative high volume integrated interfaces, call 1-866-936-1423 or email enterprise@inpriva.com. Need Enterprise / Integrated Direct XDR Services? 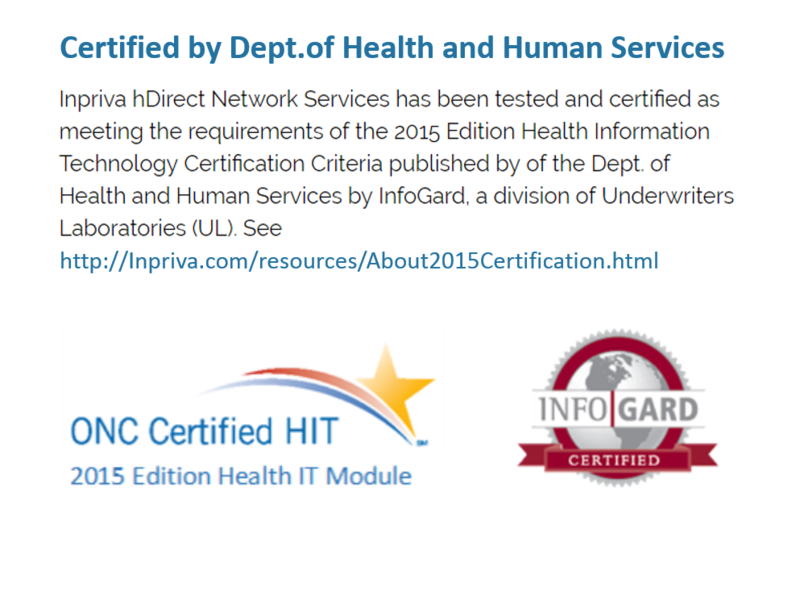 Copyright © 2003-2017 Inpriva, Inc.